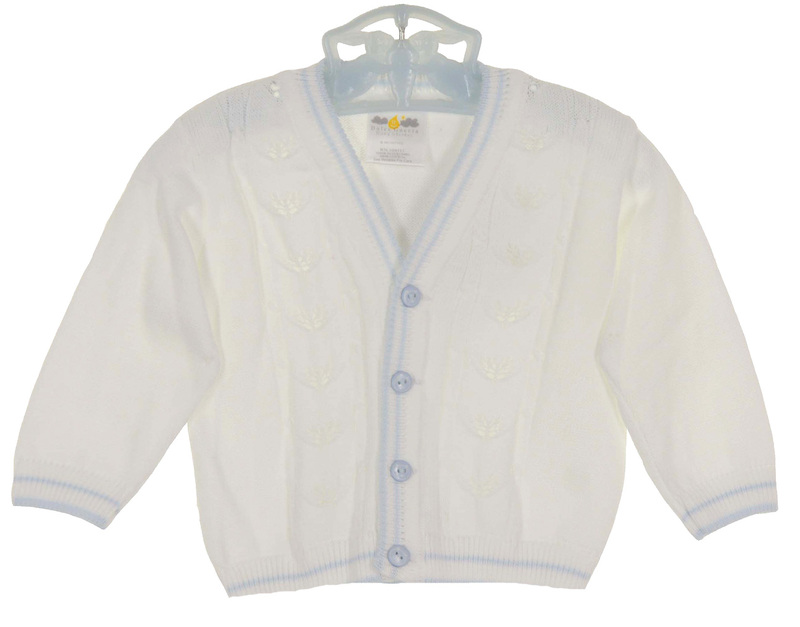 This precious little white cardigan sweater is made by Dolce Goccia, a leading provider of luxury layette and children's apparel. Made of soft cotton, it features delicate openwork detail. 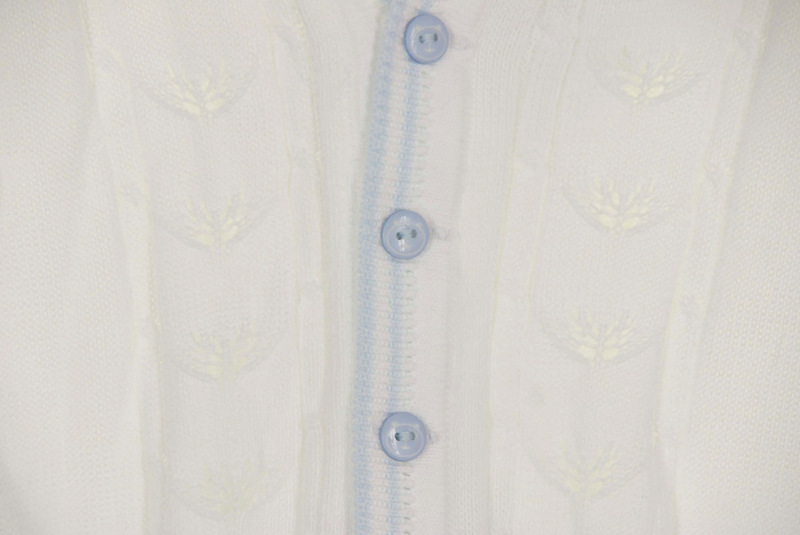 The V-neckline, long sleeves, front buttoned closure, and hem are accented with blue stripes. The perfect take home, dress up, or anytime sweater for your baby boy. Coordinating baby girls sweater is also available. See below. Grammie's Attic has a lovely collection of sweaters and knitwear for your baby or toddler. 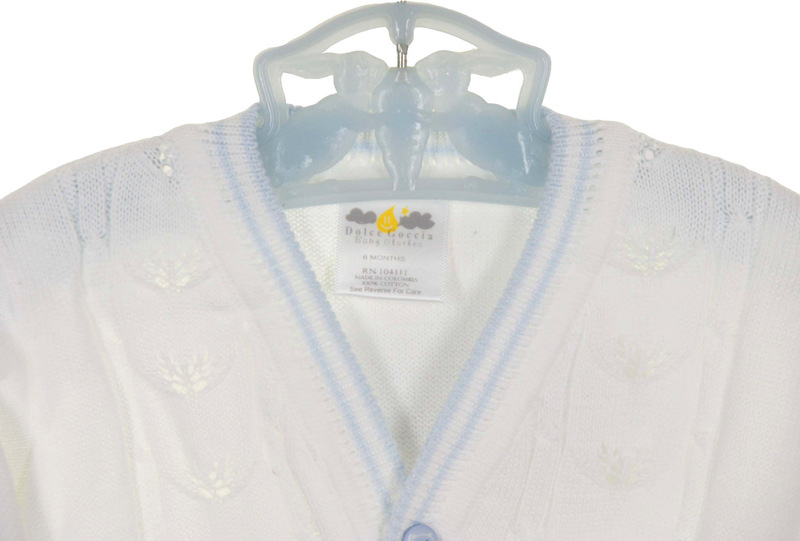 Be sure to see all of our sweaters and knitwear for every occasion, including coming home from the hospital, christenings and baptisms, birthdays, and holidays.